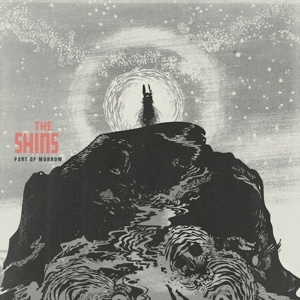 After what seemed like eons of silence, a break from legendary indie label Sub Pop, and a side project for frontman James Mercer (joining the spectacular Danger Mouse in Broken Bells), The Shins have returned with their fourth album, Port of Morrow. The band’s reached a point in their music where it’s become self-referential in a good way, mixing slight elements of their first three records along with a few production tricks courtesy of producer/songwriter Greg Kurstin, though the album is also a big departure from the lo-fi majesty of Oh, Inverted World and the original band, as Mercer stands to be the only original member. “Bait and Switch” is a standout, recalling the B-side “When I Goosestep,” guitars jangling and Mercer’s linguistic tricks warbling through your earholes long after the song’s end. Opening track “The Rifle’s Spiral” kicks things off with all the bombast of an Arcade Fire epic and the sleekness of that aforementioned side project. The album’s first single, “Simple Song” is well, simple, and mixes quaint piano with an arrangement teeming with tinges of their sophomore release, Chutes Too Narrow. Minimalism flourishes in The Shins‘ world, which they do lose sight of in “Fall of ’82.” The handclap-happy, swinging beat and ill-placed trumpet solo are just a bit too much, though lyrically the song shines. Make no mistake that there are more hits than misses, as the eponymous “Port of Morrow” closes things with a little over five and a half minutes of meandering beauty. Purists may cry foul on authenticity, but Port of Morrow marks an important transition for the former New Mexican indie darlings. In short, if you can get past band politics, you can enjoy this album.